Rakesh Chaurasia is the nephew and child prodigy of flute maestro Pt. Hariprasad Chaurasia. The most accomplished of disciples of his uncle, Rakesh shows all the promise to carry the Chaurasia legacy to new heights. Just like his legendary uncle, Rakesh possesses the right balance of strength and serenity, very critical factors for an exceptional flautist. His dextrous blowing technique coupled with his training of ‘swar’ and ‘tala’ exudes adeptly in his emotions through the hollow piece of bamboo. Rakesh has already globe trotted number of times, enthralling audiences at classical and semi – classical concerts in Japan, Australia, Europe, South Africa and USA. His growing maturity and status has brought him invitations to perform solo at major events within India and abroad such as the Festival of Saint – Denis in Paris with Talvin Singh, Leicester International Music festival in England and ‘Ashirwadh Sanger Samaroh’ in Varanasi. It was at “Anubhuti” in Mumbai where history was made when, for the first time ever, Rakesh, Pandit Hariprasad Chaurasia, Pandit Shivkumar Sharma and his son, Rahul, all performed together on stage accompanied by the legendary Ustaad Zakir Hussain. Bhavani Shankar was born into a musical family of Jaipur Gharana and was trained by his father, Pt. Babulalji, a maestro of Kathak, tabla and Pakhawaj. His first public performance was at the age of sixteen years accompanying the superstars of their generation, Sitara Devi and Kishan Maharaj. Since then, his incredible versatility has led him to accompany legends from the Indian film industry such as Lata Mangeshkar, Asha Bhosle, and the late Kishore Kumar and Mohammad Rafi. He is equally at ease with every world renowned classical musician and vocalist of our time such as Pt. Hariprasad Chaurasia, Pt. Shivkumar Sharma, Pt. Bhimsen Joshi, Pt. Jasraj, Ustaad Allarakha Khan and Ustaad Zakir Hussain to many successful movies and has produced landmark audio recordings in various Indian regional languages, be it devotional, folk or popular. An undisputed virtuoso amongst the tabla – players of the younger generation, Satyajit Talwalkar hails from a rich musical family, of talayogi Pt. Suresh Talwalkar the great exponent of tabla and Smt. Padma Talwalkar a well – known vocalist in the world of Indian Classical Music. Thus, this young musician got musical potential from his very birth. At the age of four he started learning tabla under the disciplined hands of his own father and guru Pt. Suresh Talwalkar. He even got blessings from his father’s guru Pt. Pandharinath Nageshkar, when Master Satyajit played his first public performance in his Guru Poornima at the early age of 9. He has accompanied many instrumentalists and vocalists. Niladri Kumar, Purbhayan Chatterji, Aman Ali Bangash, and Ayan Ali Bangash, Devashish Bhattacharya, Tarun Bhattacharya, Rupak Kulkarni, Sanjiv Abhyankar, Rakesh Chaurasia, Mukul Shivaputra, are the notable ones from the young generation. He has had the privilege to accompany many great Maestros like Ustaad Shahid Parwez, Ustaad Amjad Ali Khan, Dr. N. Rajam, Ustaad Rashid Khan, Pt. Jasraj, Pt. Ulhas Kashalkar, and Mother Padma Talwalkar. One of the most ancient Raagas of the North Indian classical music system, the beautiful and popular Raag Malkauns belongs to Bhairavi Thaat. It is said to have evolved when the supreme celestial dancer, Lord Shiva belongs to Bhairavi Thaat. It is a majestic pentatonic raag that is performed late at night. Though a simple raag in structure, it requires great skills to convey and evoke the mood of deep meditation and devotion, a sense of conquering the self and reaching a state of inner satisfaction. 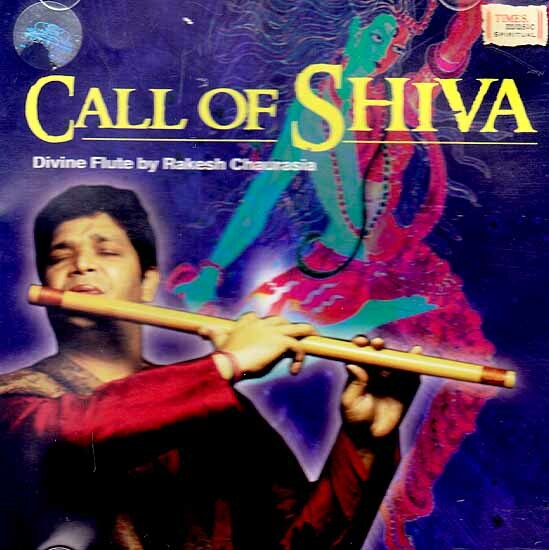 In ‘Call of Shiva’ Rakesh Chaurasia pays homage to Lord Shiva. He opens with an Alap, gradually unfolding, evolving and defining the divine character and the devotional mood of the raag. The accompaniment in second part, Jod, begins with Pt. Bhavani Shankar’s masterful solo opening on the Pakhawaj, the ancient long single – barreled rum that is so much identified with Lord Shiva’s Taandav dance. In the third part, young tabla wizard, Satyajit Talwalkar joins in an exquisite combination in Matta Taal, a unique 9 beat cycle. The finale brings all three in an ensemble, with a masterful and intricate combination in Drut Teen Taal (16 beat cycle) that ends in a rapturous heavenly crescendo truly touching one’s inner self.